Grammy Award-winning singer/songwriter Tracy Chapman has made her August 30 concert at the San Jose Center for the Performing Arts a benefit for organic farming research and education. Chapman has donated a block of tickets to the Center for Agroecology and Sustainable Food Systems at UC Santa Cruz and to the Organic Farming Research Foundation (OFRF). Proceeds from the sale of this limited supply of premium tickets will benefit both organizations. Two benefit ticket packages will be available. 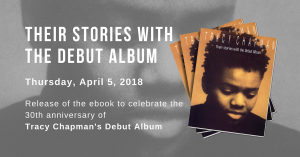 The album notes for Tracy Chapman’s 1995 album, New Beginning, featured photographs of Chapman at the UCSC Farm. * Supporters at the $75 level will receive a benefit package that includes a premium seat at the concert and a poster. * Supporters at the $125 level or above will receive a benefit package that includes a premium seat at the concert, a poster, a special preconcert organic buffet dinner by renowned Bay Area chef Jesse Cool of Flea Street Cafe, and a T-shirt. To reserve a benefit package, or for more information, please call Laura Ridenour at OFRF at (831) 426-6606. All donations are tax-deductible above the value of the items received. Chapman’s support of sustainable agriculture was apparent with the 1995 release of her widely praised album, New Beginning. The album notes featured photographs of the artist in the fields at the UCSC Farm, and seeds were distributed at her concerts to encourage people to get their hands in the soil. As she tours the country following the release of her latest album, Telling Stories, Chapman has made her San Jose performance an opportunity to provide financial support to the work of the Center for Agroecology and Sustainable Food Sustems and OFRF. The center’s proceeds will support scholarships in the Apprenticeship in Ecological Horticulture at UC Santa Cruz. The apprenticeship is a six-month residential program that offers rigorous hands-on training in organic farming and gardening. Nearly 1,000 graduates of the program are working on farms and in rural and urban agricultural programs across the U.S. and around the world. Since 1990, OFRF has fostered the improvement and widespread adoption of organic farming practices. The foundation supports growers in the field by funding farm-based research into organic systems while fighting for strong organic standards and greater public investment in organic research. To learn more about the UCSC apprenticeship or OFRF, visit their web sites at zzyx.ucsc.edu/casfs/appr.html and www.ofrf.org/. The benefit dinner is made possible, in part, by support from Earthbound Farm.